Camping in or around West Yellowstone can make memories of a lifetime. 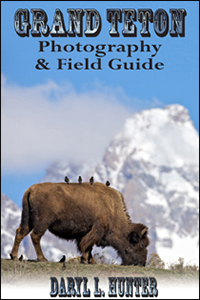 Situated in a lush Valley in-between the Centennial Range, the Madison Range and the Gallatin Range there are beautiful mountain views everywhere you look but his isn’t the only reason to camp around West Yellowstone. 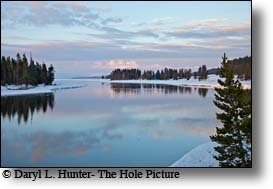 West Yellowstone abuts Yellowstone National Park and is number one access point for Yellowstone The town has several very nice RV parks, KOA”s and Good Sam parks as well as independent RV parks that are very nice as they have to compete with the well known national franchise parks. The surrounding Gallatin National Forest also has dozens of campgrounds to choose from scattered along the valley bottoms of the Madison and Gallatin Rivers. 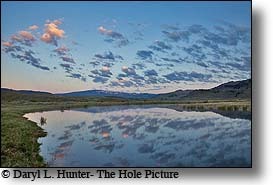 West Yellowstone hosts the world famous fly-fishing of the Madison River and may bring more campers to the valley of the Madison than Yellowstone Park. Yellowstone Park KOA • Located six convenient miles out of town, surrounded by beautiful mountain views in a quiet setting away from the hustle and bustle of West Yellowstone is the Yellowstone Park KOA. When traveling to Yellowstone one should be in the midst of nature and no other campground or RV Park in West Yellowstone compares to the scenic surroundings you’ll find here. Our Virtual Tour will show you what to expect. Our RV Sites are spacious with tall pines dotting the property, bringing a woodsy feel without hiding the big skies of Montana and the Continental Divide Range. Tent campers can stretch out in their own space with a split rail fence and pines to offer privacy between camp sites. You have no RV or tent? – No problem! Lodging is available and Accommodations can be made in our one or two room Cabins, or our two room Deluxe Cottages. Our standards are top notch. Take a quick Tour and see for yourself. Camping in and around Yellowstone is an awesome experience but there are a few things to be careful of. Wild animals, especially females with young, are unpredictable. Keep a safe distance from all wildlife. Each year a number of park visitors are injured by wildlife when approaching too closely. Approaching on foot within 100 yards of bears or within 25 yards of other wildlife is prohibited. Please use roadside pullouts when viewing wildlife. Use binoculars or telephoto lenses for safe viewing and to avoid disturbing them. By being sensitive to its needs, you will see more of an animal's natural behavior and activity. If you cause an animal to move, you are too close! Bridge Bay Campground • Bridge Bay is situated near Yellowstone Lake, 30 miles from the East Entrance to Yellowstone. It's also conveniently adjacent to Bridge Bay Marina/boat launch and store. A sanitary dump is available but no utility hook-ups. Pay showers and a coin laundry are also within four miles. Group sites are available. Grant Campground • This woodsy campground is located at the southwestern edge of Yellowstone Lake, 22 miles north of the South Entrance. Within a half mile, you'll find stores, restaurants, pay showers, a coin laundry, and a sanitary dump station, but no utility hook-ups. Group sites available. Madison Campground • A central location for camping in Yellowstone National Park, this site is just 14 miles east of the West Yellowstone entrance and 16 miles north of Old Faithful near the junction of the Gibbon, Madison and Firehole Rivers. Offers a sanitary dump station and limited group sites but no utility hook-ups or showers. Madison Campground Yellowstone National Park is located 14 miles east of the West Entrance and 16 miles north of Old Faithful. Madison Campground Yellowstone National Park is not far from the Old Faithful area and in a wooded spot along the Madison River. Open from early May to mid-October, Madison is a popular pick for a vacation camping spot. You'll find Madison Campground, a beautiful camping spot along the Madison River, will meet all your needs as the perfect central home base for a Yellowstone National Park vacation. It is a favorite of fisherman in the fall because of the trout spawn wich brings many large fish up from Hebgen Reservior. Photographers love it in the fall also because of its proximity to the easily photographed bull elk during the fall rutting season. You will need to make reservations to stay at Yellowstone's Madison Campground. Simply call 307-344-7311 or the toll free number: 866-GEYSERLAND (439-7375). Fishing Bridge RV Park • Situated by Fishing Bridge near beautiful Yellowstone Lake, this RV Park features sites with full hook-ups. It's designed for hard-sided units only with a maximum length of 40'. The area also offers a coin laundry, pay showers, store, electricity, water, sewer, hook-ups and a sanitary dump station. 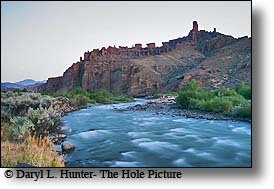 A great site for your camping experiences. Sightseeing tours are also available. Mammoth Campground • Mammoth Hot Springs camping is the only Yellowstone campground open year round. Located at a popular part of Yellowstone National Park, it is in close proximity to a number of beautiful geothermal features and plenty of outdoor recreation. Mammoth Hot Springs Campground is located near the Mammoth Hot Springs Terraces and is five miles from Yellowstone's North Entrance. With its close proximity to many wondrous sights in Yellowstone, Mammoth Campground is the ideal place to pitch your tent or park your RV when you come here on vacation. No reservations are necessary. This campground is first-come, first-served. Pebble Creek Campground • Pebble Creek Campground in northwest Yellowstone is in the heart of the easiest place to see the wolves. It's in close proximity to some great hiking as well as some wonderful fishing spots in Soda Butte Creek, the Lamar River and Trout Lake. Open from mid-June to late September, it makes a summer or fall vacation something special. Pebble Creek Campground is located in the northeast corner of Yellowstone Park, 9 miles west of the Northeast Entrance. No reservations are needed, as the Pebble Creek Campground Yellowstone is first-come, first-served. Slough Creek Campground • Trees and open sage meadows welcome you to Slough Creek Campground, in the northeast corner of Yellowstone National Park. The famous trout waters of Slough Creek have beconed fishermant to this spot for decades. It is also a favorite campground for photographers. Slough Creek Campground is located along the banks of Slough Creek, five miles east of Tower Junction. The access is two and a half miles down a dirt road. You don't need reservations at Slough Creek Campground Yellowstone. It's first-come, first-served. Slough Creek Campground in Yellowstone is a primitive camping location that gets you out in the wilderness and sleeping under the stars, with plenty of outdoor fun nearby. Open from late May to the end of October, it's the perfect place to experience a primitive camping spot in the park. Tower Falls Campground • Tower Falls Campground, in Yellowstone south of Tower Junction, has plenty of attractions nearby, like Tower Falls and the Tower-Roosevelt Petrified Tree. it is ground center for viewing the Black Bears for which the Tower area is famous. Tower Falls Campground is located in the Washburn Range in Yellowstone's northeast portion, 2 miles south of Tower Junction. No reservations are required at Tower Falls Campground as it is first-come, first-served. For a nice central location within Yellowstone National Park, you will find Tower Falls Campground meets your every need, from fabulous outdoor recreation to nearby natural attractions. Lewis Lake Campground • Lewis Lake Campground is on a wooded hill near Lewis Lake, providing a peaceful setting but still close to Grant Village and the many facilities there. Close to the lakeshore and in the woods, the Lewis Lake Campground in Yellowstone National Park is the ideal spot to stay when fishing the waters of this fabulous lake is your goal. Open from the middle of June to early November, it is one of the last to fill. This makes it fairly easy to get a nice spot. You need no reservations for Lewis Lake Campground Yellowstone. It's first-come, first-served. Lewis Lake Campground is located on the southeast shore of Lewis Lake, about eight miles north of the South Entrance to Yellowstone. Livingston / Paradise Valley KOA • (Paradise Valley) Towering cottonwoods shade this mountain country KOA along the Yellowstone River. 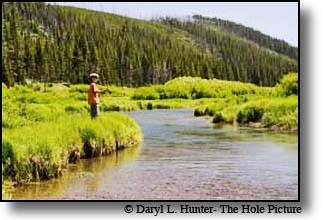 You are never much more than a long cast from KOA's 500 feet of frontage on the Yellowstone, a blue-ribbon trout stream. If you lose your favorite fly, replace it at the campground store! Livingston boasts a fly-fishing museum, art galleries and antique shops. Find outdoor activities in every direction. 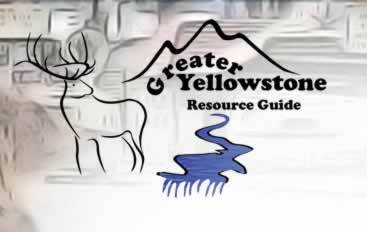 Don't miss a visit to Yellowstone National Park, 40 miles south. Your hosts can arrange raft trips on the Yellowstone or horseback rides and direct you toward great hikes in the Absaroka-Beartooth Wilderness Area. Yellowstone Park KOA • (West Yellowstone MT) Closest KOA to Yellowstone National Park. Base camp with us while touring upper and lower loops of the park, Teton National Park, Quake Lake and ghost town area. 34 miles from Old Faithful. 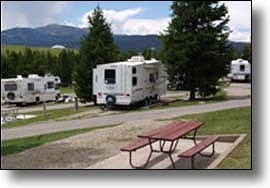 Grand Teton Park RV Resort • (Moran WY) Grand Teton Park RV Resort has the best location for visiting both National Parks. Located just 6 miles east of Moran Junction, you will be camping only 32 miles from Yellowstone National Park and just outside the east entrance of Grand Teton National Park. Also just 36 miles from the town of Jackson. 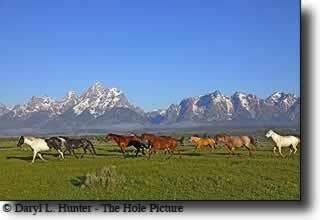 Cody KOA • (Cody WY) Gateway to Yellowstone adventure. Leave rig at camp and enjoy majestic mountain vistas, abundant wildlife, back country hiking, world-class fishing, old west legends and pure mountain air. Guided tours. Make a splash in pool complex. Free rodeo shuttle. Free pancakes. Playground and game room. Trail rides at camp. Planned itineraries and special events. 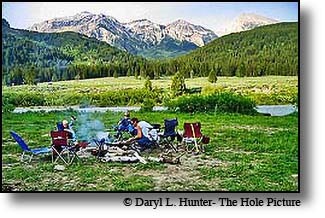 Rocky Mountain Campground • (Gardiner MT) 4 Blocks to the Yellowstone National Park North entrance Gardiner Montana. Your Base camp to see Yellowstone National Park. " From Memorial day through Labor day. 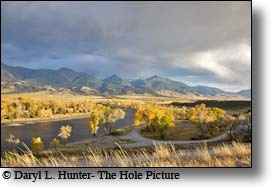 Sitting on a hill top, Overlooking Gardiner, The Yellowstone River and being overlooked by snow capped mountains. Dubois / Wind River KOA • (DuboisWY) Find your campsite nestled along the Big Wind River, in a beautiful valley between the Wind River and Absaroka mountain ranges. You and your family will be in the heart of Dubois, a rustic western cowboy town just 90 minutes east of both Yellowstone and Grand Teton National Parks. It’s mountain camping at its best, with all of the shopping, services and conveniences of town. Yellowstone Park / West Entrance KOA • (West Yellowstone) Find a pine-shaded site here near Yellowstone’s west entrance, the most popular and convenient entry point, and you’ve found the perfect base camp for exploring this amazing national park. Old Faithful puts on its steamy regular-as-clockwork show just 34 miles east. Have a tour bus pick you up at KOA’s office for a ride to the park. Or take the wheel yourself to tour Yellowstone’s driving loops. The area offers horseback riding, world-class fly-fishing, whitewater rafting and hiking and biking trails that begin near the KOA.